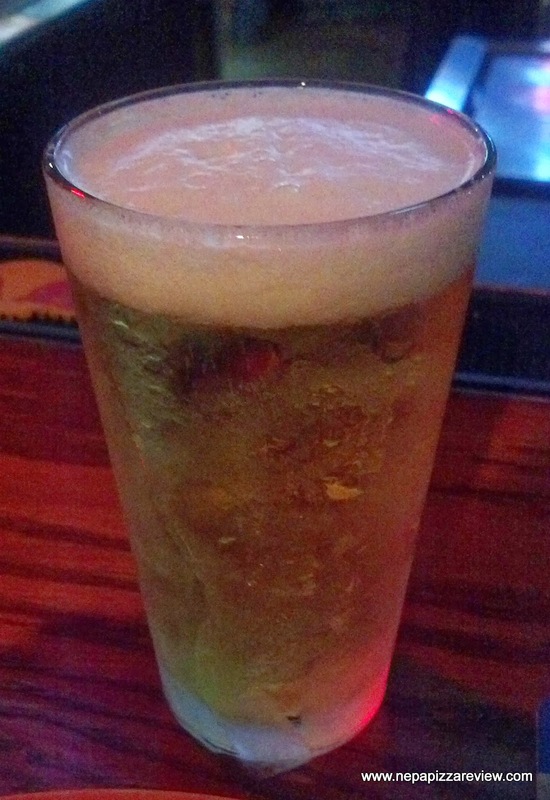 My buddies and I have an ongoing joke going about which local pub has the coldest draft beer in Northeast Pennsylvania. There's nothing scientific about our observations, but one of my friends has long declared that Wellington's in Clarks Summit has the coldest draft beverages available. One of my other friends got wind of this and mentioned that the Tipsy Turtle in Pittston (Jenkins Township) had some of the coldest brews he's ever experienced. Perhaps this is a better battle for my colleague over at NEPA Beer Reviews to tackle, but it lured me into the area not only to test out the frosty brew and it gave me an opportunity to try yet another pizza for a review! 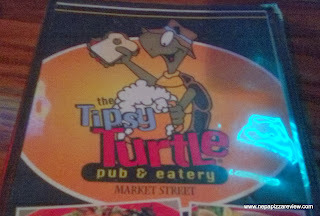 When I walked into the Tipsy Turtle for the first time, I instantly fell in love with the place. The place wasn't enormous (nor was it small), but it had Televisions plastered on every wall, making it the ultimate sports bar. The place was comfortable, clean, and a place that I could literally sit all day and enjoy watching sports and chatting with friends. I honestly didn't even want to do a review because I was enjoying my surroundings so much, but a 45 minute drive provides an opportunity for me to put another pin in my pizza review map. I took a look at the menu, and noticed there was a small section that said "Pizza" at the bottom, but there were no details and no prices. My buddy kindly grabbed me the specials menu which advertised a "Crabby Pizza" for $9.99. This pizza perked my interest so I decided I was going outside of my plain pizza box and going for something different! I also ordered an order of the famous Turtle Bites because they were on special and everyone was raving about them. I can attest that the Turtle Bites were very good and the portion that you get is gigantic. This is a real bargain on special night, so don't be afraid to try. 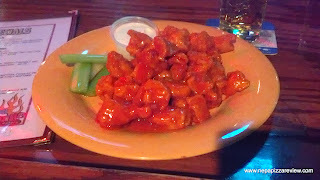 I got the mild bites, which were a little sweet for my taste, but still very good. There were so many flavors to pick from, and I noticed that several people even split their 1 pound orders into 2 one-half pound flavors. I was kicking myself that I didn't do that because I wanted to try more. I encourage you do split your order if you are a first timer there as I don't think they charge extra and you can really double your tasting power! I heard positive reviews on the Turtle Bites from around the room and the rest of the menu items looked very good as well. 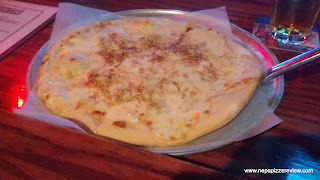 As I munched on my Turtle Bites, the mystery and anticipation surrounding the Crabby Pizza grew. Finally the waitress brought the pizza over to my seat and it was time to try it! At first glance, this pizza looked like a lightly cooked white pizza with some old bay sprinkled on top. Upon further inspection, I noticed that there was real crab meet (assuming from a can, but real!) sprinkled in the middle of the pizza. The crust was cooked lightly, so I picked it up to see what was underneath, and it was pretty light on the bottom and cooked on a screen. 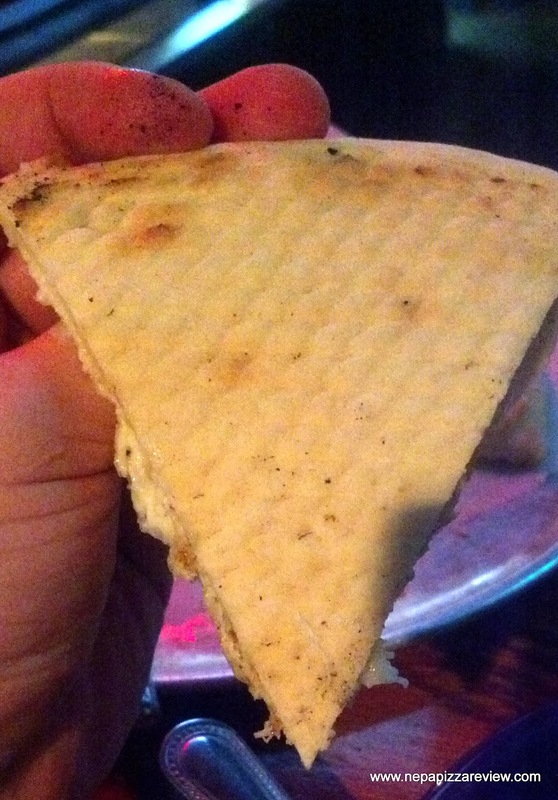 As a group, we also determined that this was probably a premade frozen crust, which was deemed "gas station crust" by a few and "cafeteria crust" by others, but what do you want from a bar that is serving up bar food? The crust was chewy and not so great, but the rest of the pie was very intriguing. You could tell with every bite that they were using Gouda cheese as stated on the menu, and the flavor of the Gouda worked very nicely with the crab meat and the old bay. For $10, I found that they provided a healthy amount of crab, and gouda is not the cheapest cheese to put on a pizza, so this was a decent value. 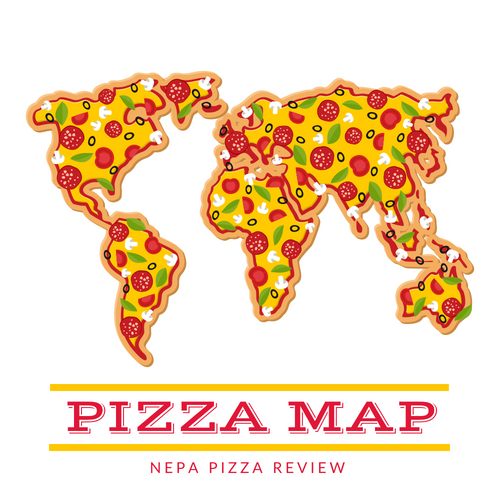 Overall, I really loved the concept of this pizza. 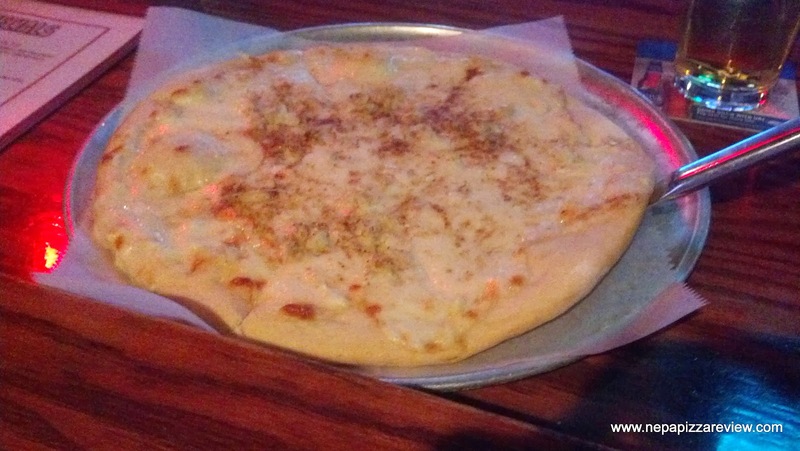 The gouda, crab, and old bay seasoning were terrific and the creativity of this pizza is to be applauded. If the crust were improved (acknowledging that the Tipsy Turtle is not trying to be a pizzeria) I would give this pizza some high marks. A thinner, more flavorful crust would sap the flavor less, and provide a better contrast against the Gouda. If I could offer a suggestion without changing anything, I would grill or broil the pizza crust before putting the pizza together to get a little charring and infuse some flavor. This would improve the texture, crispiness, and flavor without adding cost and the hassle of keeping fresh dough around. But I'm being too serious about a pizza at a great establishment - get to the Tipsy Turtle, enjoy one of the coldest brews in NEPA, grab some Turtle Bites, watch some games, and enjoy the place with friends, because that's what this place is about from my perspective! 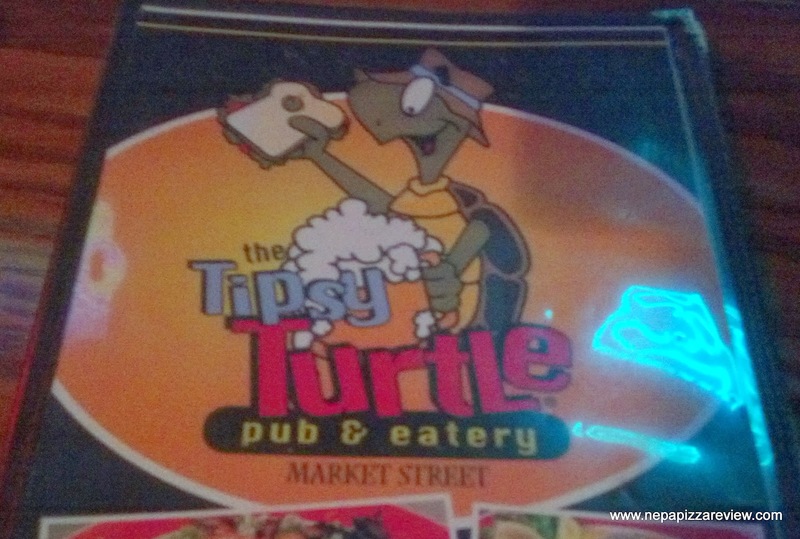 I fully endorse the Tipsy Turtle and wish that it was in my hometown. Similar to: There's nothing like it!